The goal of a meeting with a legislator/legislative staff is to build a relationship. You want them to get to know you and your school, and you want to get to know them. It is this relationship that will bring career-technical and adult education to mind when they consider legislation that impacts schools. No matter whether you are experienced at meeting with your legislator or not, the fact is that it is an ongoing process. Not to mention, the more you interact, the more the relationship will grow. But legislative staff changes, elections happen, and legislators are busy people. These factors make building a relationship with them challenging, but not impossible. Face-to-face meetings are important, so you will want to schedule a meeting with your legislators in their office, whether it is Columbus, or Washington DC or their local office. All are just as effective. If you haven’t already, determine the legislators, both state and federal, in your school district. Use the directories on this page to help locate your specific legislators: Find out from your school leaders current legislative outreach and ask how you can help. It is important to coordinate so everyone’s effort is maximized. You may also want to reach out to other schools who also may be in the legislator’s district. Schedule a Meeting. A survey of Congressional staffers show two weeks out is the optimal time. General office phone numbers are readily available, and you should call the legislators office directly. Identify yourself as a constituent and ask for the staff member who deals with education issues. Try to have a range of dates and times that work. Expect to meet with the legislator’s staff person who is much more readily available than the legislator and key to policy decisions. Plan your message/delivery. This is key to a productive meeting. Make sure you know who will attend the meeting – consider bringing a student or business partner – and make sure there are no more than 3-4 in attendance. Meeting space is often tight in legislative offices, and more than that makes it difficult to have a productive meeting. Do your homework. Every legislator has a Web page with information on their hometown, issues, committees, press releases, etc. Know what they are interested in and how it might fit with your school/CTE's legislative priorities. Be prepared to meet with a staff person. While the legislators want to meet with you, that is often not possible because of their schedule. Be assured that your message and visit will be noted with the legislator, and meeting with the staff person is just as effective. Watch the time. You should confirm the amount of time allocated for the meeting…it might have changed between the time you scheduled it and the meeting date. Be prepared for approximately 15-30 minutes, unless otherwise noted. Begin with a connection or a question. Using the information you found on the legislators Web site or something you see in their office, make a connection, if you can, or ask an opening question that will give you some idea how the conversation could go. An example of an opening question is: Have you visited your local career technical program? Know anyone who graduated from a career-technical program? This will let you know how detailed you should make your message. Share a brief success story. If you brought along a student or business person, have him/her share a very short story on how CTE helped them/their business. If not, share one yourself. Have a clear message and stay on topic. Use your time wisely and do not use “education speak”. There are so many acronyms and specific education terms, be sure to explain or spell out. Even something like “weighted funding” may be a foreign term to a new staffer, especially asit pertains to CTE. You can consider using a third party story to explain issues, such as “Many people don’t understand weighted funding, but it’s critical to CTE programs because…..” Answer questions or offer to provide information later if you don’t know the answer. Provide very succinct handouts. While you may have a glossy catalog or other school information, think about whether that is the most effective leave behind or if you can create a one-two page specific handout that provides the information you want them to remember: The number of programs you offer; business you work with; graduation rate; post-placement rate, etc. Survey results show 1-2 page issue summary is the most helpful to legislative staff. End the meeting by asking them what you can do for them/the legislator and issue an invitation to tour your school. Make sure have their contact information and business card for follow up. Always remember to follow up. Email works best for Congress, email or letter for state legislators. Follow up should include: any information they requested you did not readily have; electronic copies of the information you gave them in the office; links to pertinent information pertaining to your discussion. Issue invitations to visit and tour your school and add the legislator or staff person to your invitation list for appropriate school events, like recognition ceremonies (even better: ask them to be a part of the ceremony) or any other event. Attend THEIR events. 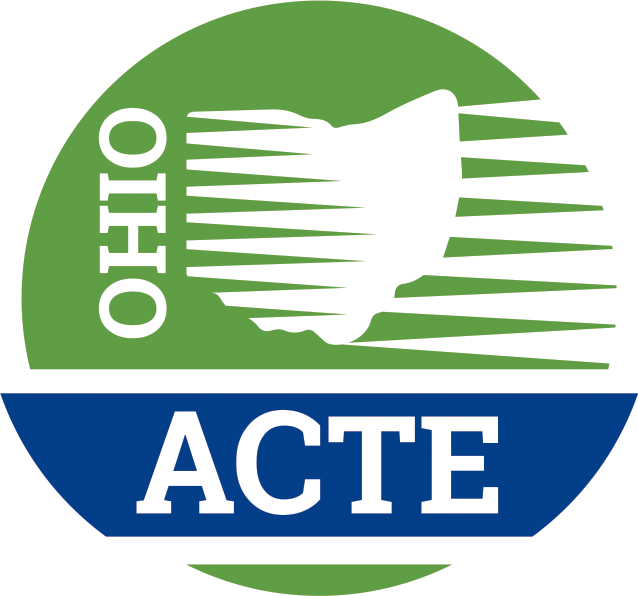 Be aware of events the legislator is holding in your district and make it a point to attend or have a representative from your school attend showing your support for them is just as important as them showing support for you and CTE. Finally, remember this most important fact: Legislators and their staff want to hear from you, their constituent. You are the expert on CTE and your school and their job is to make sure they hear from all their stakeholders.